I have been feeling pretty sick with a cold over the past weekend, so hence, not much writing. But, I have a moment to write now, so I thought I would catch you up! In your opinion, what are the biggest challenges faced by Zambian churches today? How could AZ best help pastors? PZ – Training and support community schools to help with evangelism. What challenges do pastors face in building leadership teams? PK – We need a vision to know how to build leadership teams. What aspects of Zambian culture make it difficult for Christians and churches to grow? We then met with a group of pastors on Friday from Ng'ombe who shared many struggles and areas of need to help them meet the needs that exist in their churches. Struggles like poverty, HIV/AIDS, battles with witchcraft and animism, a lack of education for women and men to understand the word and their own family pressures of trying to make money for the family to live on. Almost all pastors have to work in addition to pastor. The challenges are incredible for these pastors. In addition, the word is out that a governing body might be requiring pastors to have a degree from an accredited seminary. While this is a good for creating accountability, it is also difficult for these godly, committed pastors who have no formal training. 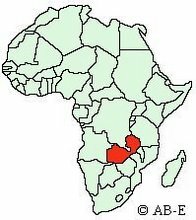 The niche of Action Zambia is to work and train these forgotten compound pastors who can't a afford an accredited bible college much less a seminary. I am seeing that training pastors is a much more holistic process than I realized and it will require networking and lots of prayer. These brothers are sacrificing so much to pastor. I can't even begin to describe their lives. It just doesn't seem possible the commitment they give. 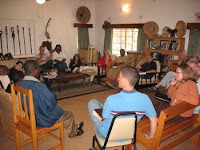 We had a Action Zambia team meeting on Saturday, led by our board chairman, Betsone Chileya. It was a chance to look back and look forward to a new time. We are continuing to refine our vision and our philosophy. There is so much that needs to be done and we are continuing to refine that vision so we can do what God has called us to do. Bestone shared a devotion about Mary and Martha and his challenge to us make sure your soul is serviced in Christ before you engage in service. Great words!